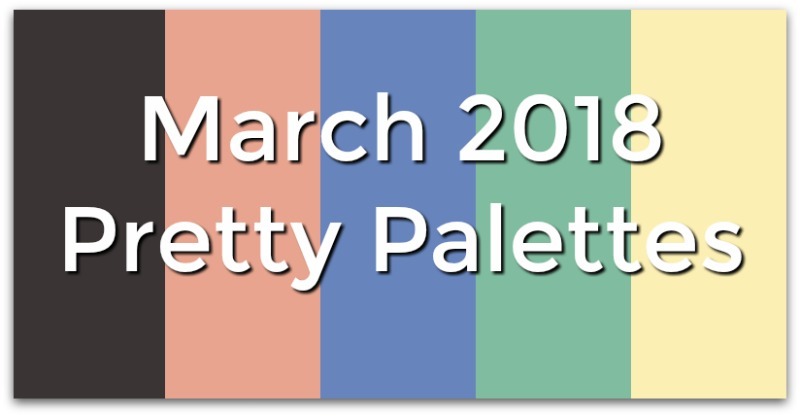 This print from Heather Powers of Humblebeads is the inspiration for this month's Pretty Palettes. 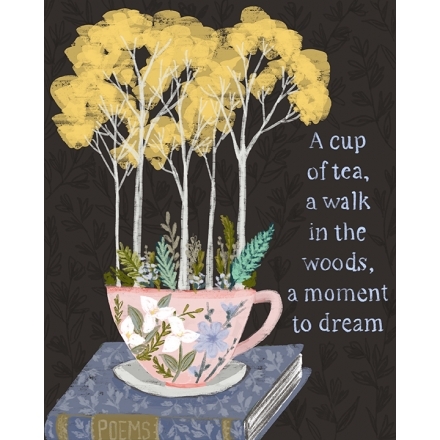 I love how she combined a cup of tea and the woods in this print. 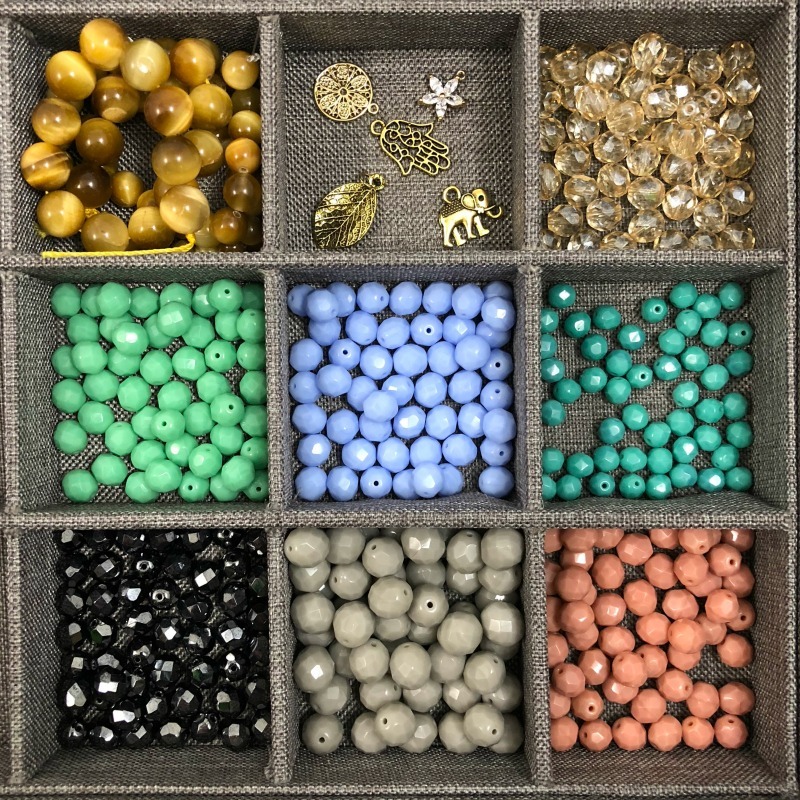 Here's the palette drawn from the above painting, and here are the beads Molly Schaller chose from Halcraft. These are Czech glass beads with some golden tiger eye at the top next to the charms. 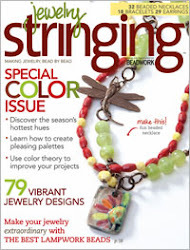 I ordered the tiger eyes, gold leaves, light turquoise, blue, turquoise, gray and pink beads. It's a pastel springtime palette and goes perfectly with a blue bird that I ordered from Humblebeads. I have long admired Heather's work, so this was the perfect time to order something special to go with these pretty colors. I wasn't totally happy with it. I wanted more color in the nest and I didn't like the brass flower hanging straight down. So, I took it all apart and tried again. 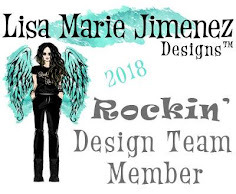 Sometimes, I annoy myself, but that is usually the way I design! This is what evolved into my Springtime necklace. I added some pieces of silk ribbon and twine into the waxed linen brown nest. It sits on a copper wire branch that I hammered, dipped into liver of sulfur and then sanded. One of my favorite buttons is attached above. I replaced the brass butterfly with an antique copper butterfly and wired it to the button. Then, I tied on some beads at the bottom with waxed linen and added ties of silk ribbon. On the chain, I added another butterfly and some of the pretty Czech glass beads. The antique copper chain ends in a Nunn design hammered copper toggle clasp. I bought a nice Basswood round from Walnut Hollow at my local craft store. I like to photograph on wood; it's a nice neutral color. White paper always comes out blue for me, so I like a more natural, neutral color. I usually use the fences or pieces of old wood. Maybe the gray wood is not a good match with the pastels. What do you think? It was so much fun playing with these lovely beads. A special thank you to Heather Powers of Humblebeads. I ordered this bird and another pendant. Wonderful - but there's more - two beautiful beads and a length of turquoise silk ribbon came with my order free! 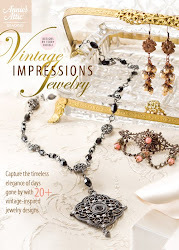 See the necklace and earrings that Molly Schaller created on the Pretty Palettes March Reveal. 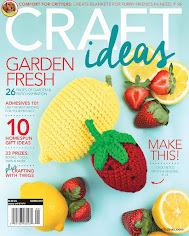 And, visit the Halcraft Collection Facebook page for more inspiration. 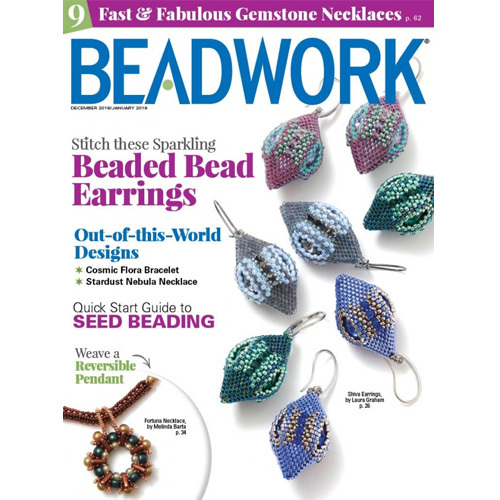 Happy Beading and Happy Spring!